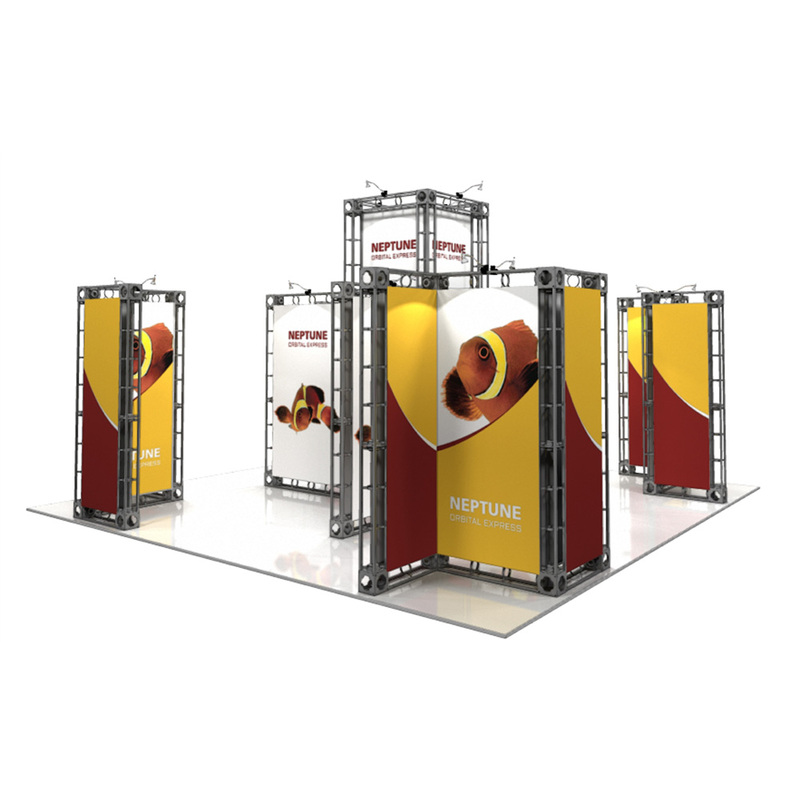 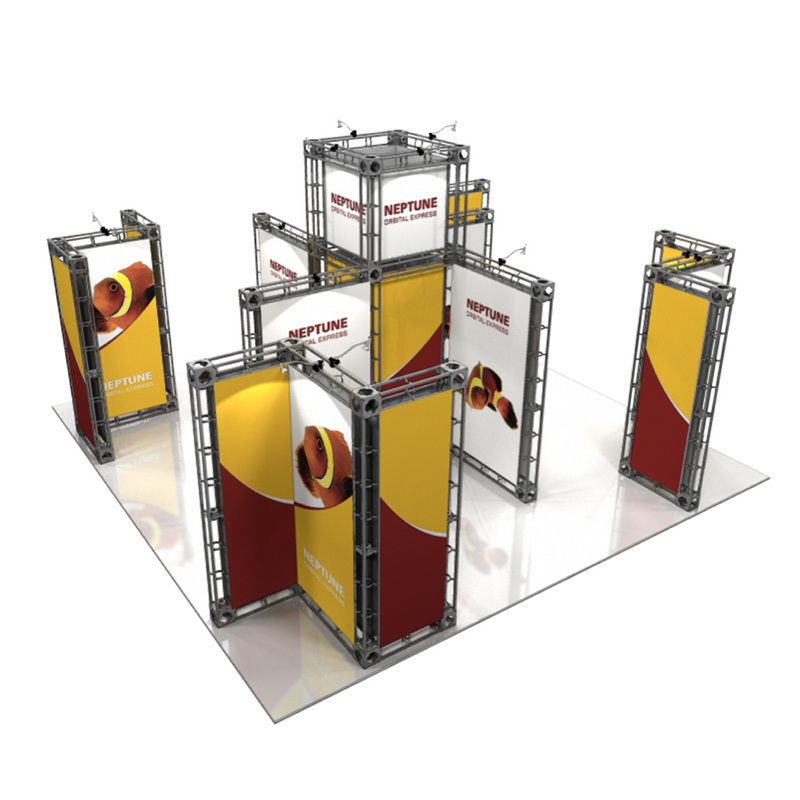 NEPTUNE is a 20×20 Display Trade Show Booth Kit made using Orbital 6″ Box Trusses. This kit requires no tools to assemble truss sections, simply use the twist and lock connector pieces. Our truss kits are Simple to set up and use, it’s Strong, Secure, Eco friendly and a Breeze to use.